DUBAI – Ugandan musician and Member of Parliament Robert Kyagulanyi Ssentamu aka Bobi Wine and Nubian Li put up a powerful performance during their Kyarenga extra show on Friday, March 22 at the Grand Excelsior Hotel in Dubai. 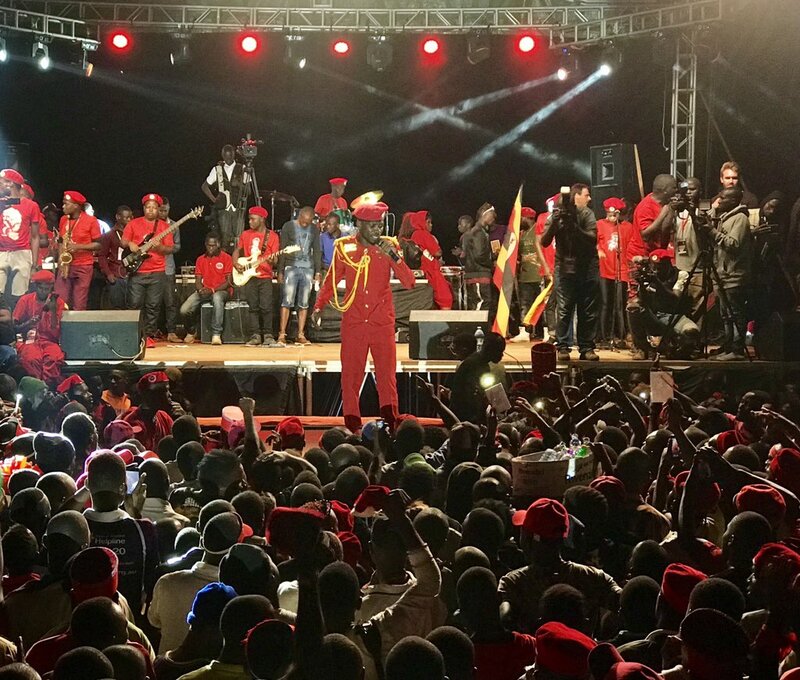 Bobi Wine who left the country on Thursday evening stepped on stage wearing his red beret and white African wear and performed live alongside backup singers. The Firebase Entertainment singer kicked off his performance with Philly Bongole Lutaaya’s “Born in Africa” and thereafter performs his songs like “Time Bomb”, “Bad Man from Kamwokya”, “By Far” and “Freedom”. During his performance, Bobi Wine, would freestyle and lash out against the ban on his music concerts, his alleged torture while in Ugandan military detention and shooting of his driver among other issues. Meanwhile, after the Dubai concert, the duo will be taking Kyarenga extra concert to South Africa where they will perform in three major cities including Johannesburg and Cape Town. Recently, local authorities had banned all Bobi’s musical performances in Uganda after holding his famous Kyarenga Musical concert at One Love Beach Busabala which since then saw the singer fall out with security operatives who were claiming that he was using the musical platforms to incite violence and make political rallies. After blocking him, Bobi Wine has since been musically inactive in Uganda. However, his blocking has greatly paved way for him to enjoy the international market and platforms that have earned him recognition given his political status. Early this year January 19, Bobi Wine put up a powerful performance at the 2019 annual Rebel Salute Reggae Festival in Jamaica.